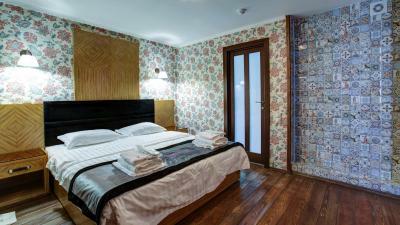 Lock in a great price for SleepyTom Boutique Hotel - rated 8.8 by recent guests. 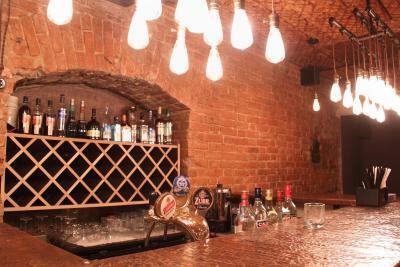 Excellent location, great staff and food in the restourant. I would recommend to others to stay. 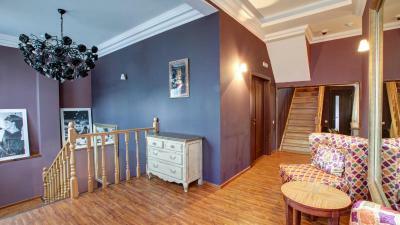 Located at 5 minutes walking from Mayakovskaya metro station, very close to Tverskoy Ulitsa and so to every shop you could need. 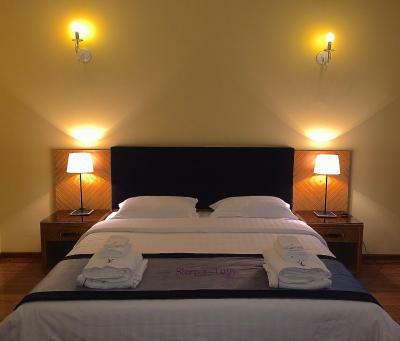 The room was very quiet and the bed very comfortable, breakfast a la carte. The staff is very friendly and helpful. 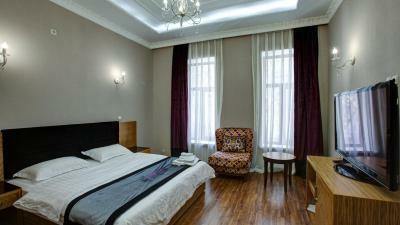 The room is very luxury and boutique. Great place to stay. Honestly, this hotel had everything we were looking for! 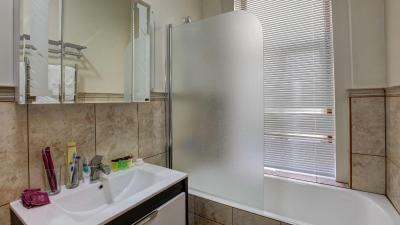 The location was great, the room was spacious and super clean, and especially the staff was nice! Honestly, though, what made our trip was the concierge Mr. Mirdamad, who was extremely helpful and amiable! 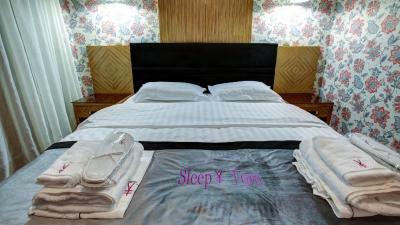 The location, room comfort, friendly staff and great restaurant menu was excellent! 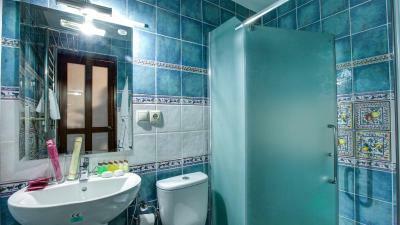 Nice small hotel with exellent location in a quiet street near Mayakovski Metro station. Breakfast was simple but tasty. 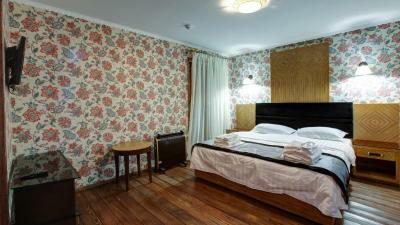 We would be happy to stay here again when visiting Moscow. The location is great. 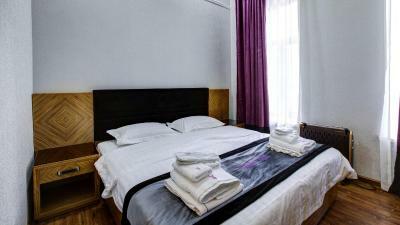 The rooms are clean, the staff is friendly and helpful. The wifi is great. I will recommend it. 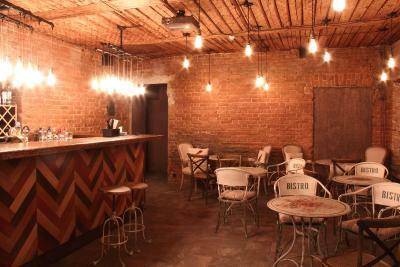 Large and cozy room, friendly staff . 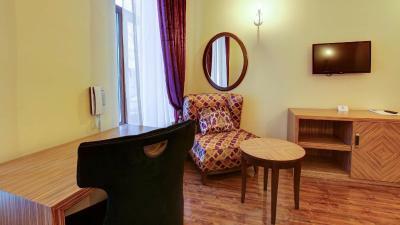 Good price quality ratio in my favorite location of Moscow. Breakfast was good - you choose from things on a set menu. Staff were friendly and spoke English. 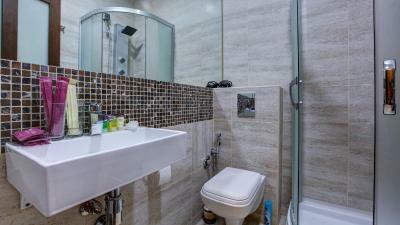 Location is good (5 min walk to metro station - we used this for everything!) Papa Johns is also next door incase, but the hotel does good food anyway! 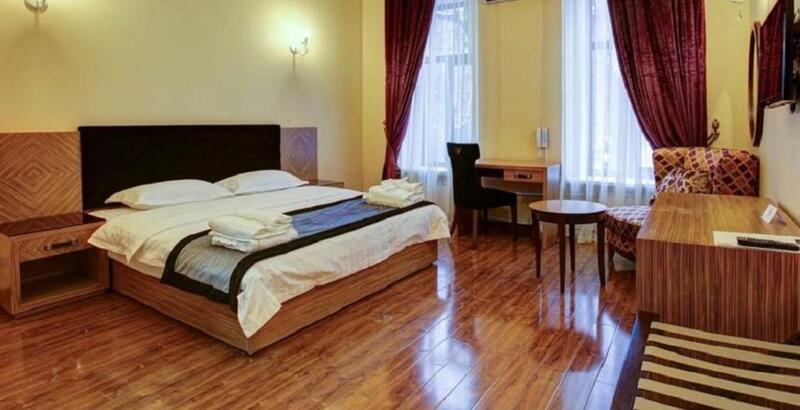 One of our top picks in Moscow.Featuring free WiFi and the 24 hour front desk, SleepyTom Boutique Hotel is located in Moscow, 650 yards from Mayakovskaya Metro Station. 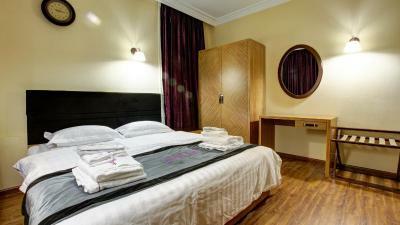 The rooms offer a fridge, flat-screen TV with cable channels and a bathroom with a hairdryer. 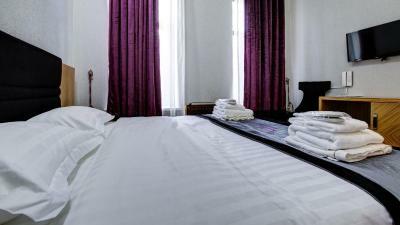 Guests can dine in the on-site restaurant, or order room service and breakfasts in the room. 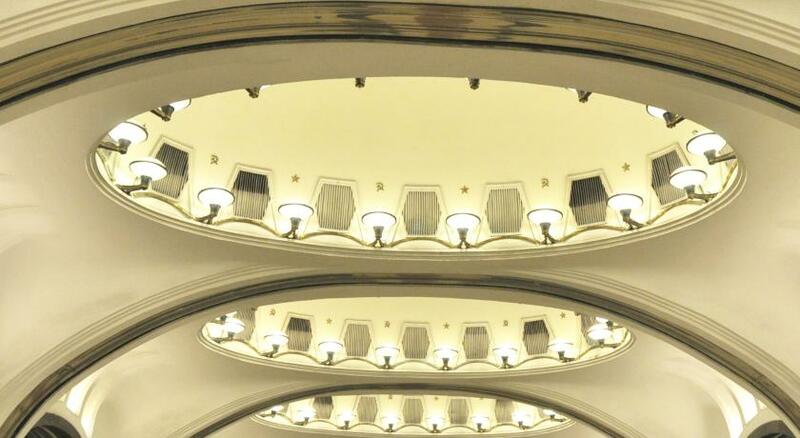 The Red Square and the Moscow Kremlin are a 5-minute metro ride from the hotel. Sheremetyevo International Airport is a 35-minute ride with Aeroexpress Train from Belorussky Train Station, which is 1.6 miles from SleepyTom Boutique Hotel. 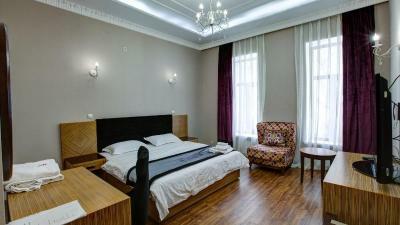 Tverskoy is a great choice for travellers interested in theatre, culture and history. 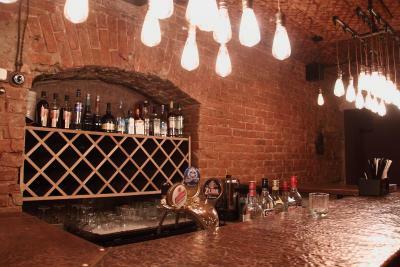 This is our guests' favourite part of Moscow, according to independent reviews. 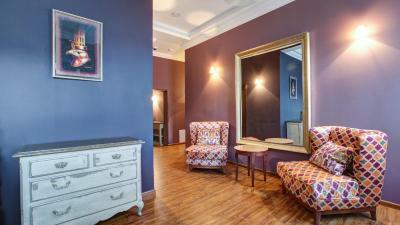 SleepyTom Boutique Hotel has been welcoming Booking.com guests since 25 Dec 2014. 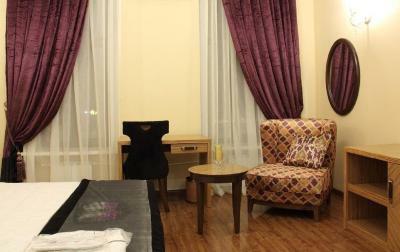 When would you like to stay at SleepyTom Boutique Hotel? 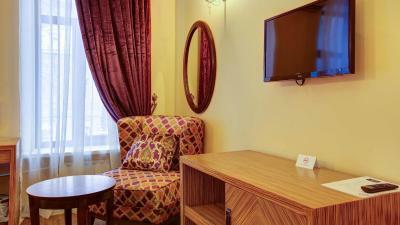 This room features a fridge, fan, free WiFi and flat-screen TV with cable channels. Beds can be pushed together. Extra bed accommodation is available. 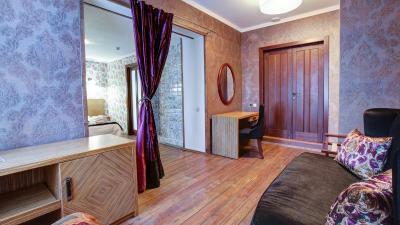 This junior suite features a fridge, free WiFi and flat-screen TV with cable channels. It includes a sofa and provides better design. 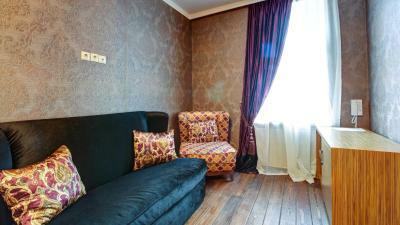 This room features free WiFi, a fridge and flat-screen TV with cable channels. 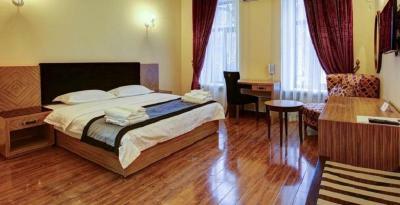 Extra bed accommodation is available in some rooms of this category. 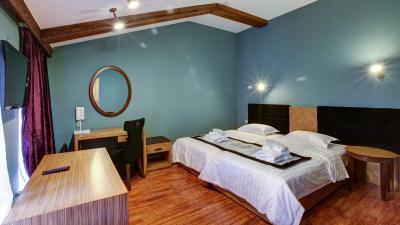 This junior suite features free WiFi, a fridge and flat-screen TV with cable channels. Property surroundings – This neighbourhood is a great choice for travellers interested in theatre, culture and history – Check location Excellent location - show map Guests loved walking around the neighbourhood! House rules SleepyTom Boutique Hotel takes special requests - add in the next step! All children under 6 years are charged RUB 500 per night for extra beds. SleepyTom Boutique Hotel accepts these cards and reserves the right to temporarily hold an amount prior to arrival. Breakfast started been served at 8 am, i.e. we had left to work already. Having said that, they made limited breakfast by order when we complaint it. That you charge me twice and you still wanted me to pay when I arrived. No cleaning during these 3 days I was staying. Breakfast started at 8, it was to late for me. My taxi pick me up at 8 as I was working. Asked if you can serve some breakfast litte earlier but you say no. One day we get som coffie 5 to 8 in the morning. The room was a bit small but for 3/4 days it is ok. 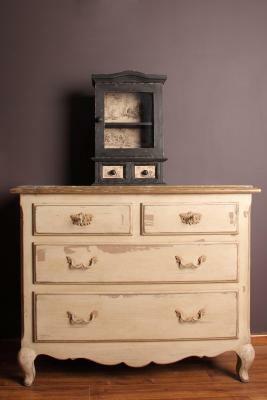 Excellent location, cosy design interior, good bedding. Free of charge parking on site was a great addition. Breakfast was really good. Even tho booking.com says you can make payment when you check in they already took the money from the card used for booking and gave me no option to use other. 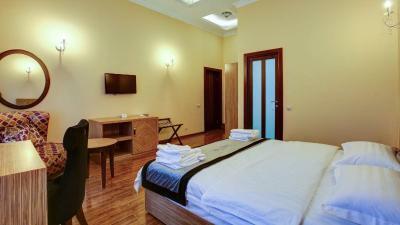 Nice comfortable rooms with amenities (toothbrush, sleepers, robe, minibar, body scale, etc). Breakfast was really good and varied. Staff was friendly and helpful. 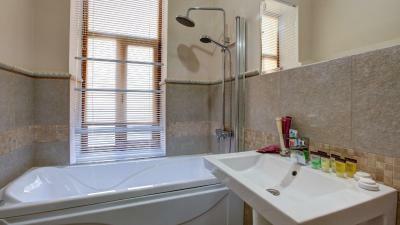 Well located with supermarkets, stores and metro station close to hotel. There was a strange smell in the room. After some day's on checkout day we found a dead cockroache on the floor of our sleepingroom. This explained the bad smell. Maybe the owner wanted to kill them with some chemical stuff. But my rule is that a place with cockroaches is not a place to sleep and pay for it. We used 3 rooms, only 1 room was inhabitted with cockroaches, so far we know. For Breakfast, you needs to select the items from the menu-card. I did not lik the breakfast because everything is measured, no extra egg or bread unless you pay extra. I left hungry every morning. Two of us gave our laundry to the hotel. My advise is never do that again! Because you will get extra problems, like even more dirty items, or wet items on the moment you have to checkout. Never give your laundry !! The staff was friendly and are good people. Like most Russians ! The room was on the second floor, where the sun hits the whole day. It’s impossible to sleep there without air conditioning during the summer. After my complaints, they got me a ventilator, that didn’t help much. Clean, good location, good restaurant. Price discrepancy depending if you book online or at hotel. Great location. Very friendly staff.